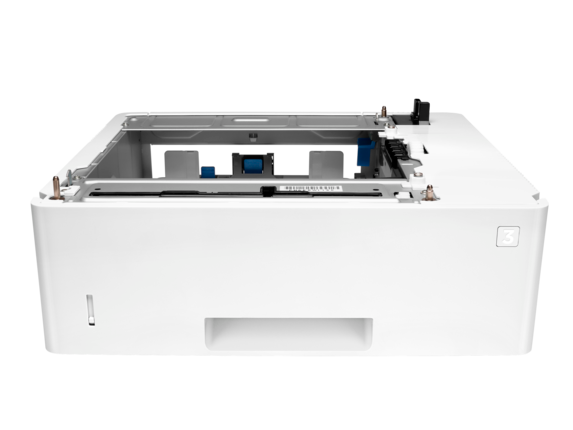 Reduce trips to the printer to reload paper with this paper feeder that supports paper sizes from A6 to legal. Print more pages without having to reload paper. Automatically print on up to six different types of paper without manually loading paper for each print job. 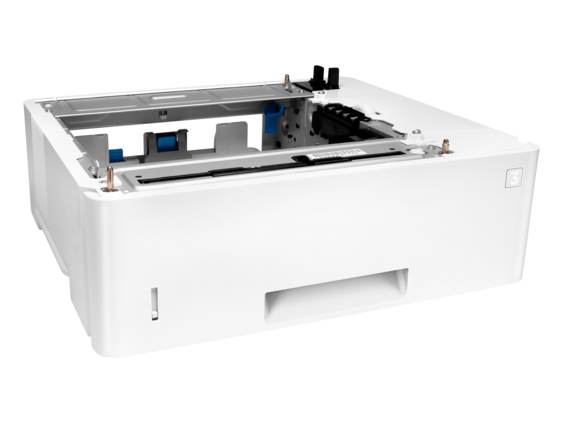 Add up to five of these feeders to your printer for more flexibility. Help individuals and workteams save time and be more productive with additional paper capacity of 550 sheets. With more sheets of available paper, users spend less time refilling paper feeders. Medium or large businesses who want to add input capacity and media flexibility to their HP LaserJet printer.